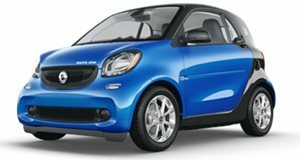 There’s no debating the fact Daimler’s Smart car brand did not succeed in the US, to put mildly. Although it found some early success in Europe, . 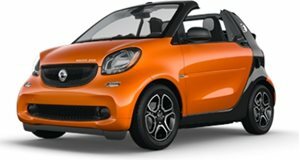 America has big parking spots and city dwellers realized walking, riding a bike, or taking a cab was better than purchasing, for example, a Smart ForTwo. But Daimler, which is also the parent company of Mercedes-Benz, is not giving up on the Smart brand. reports the German automaker is currently holding talks to build Smart cars in China with its long-time Chinese partner Beijing Automotive Group. The intent is to begin selling electric cars to the world’s now largest EV market. , so it makes an awful lot of sense to get a strong foothold in China. Apparently, Daimler is aiming to set up a new joint venture with Beijing Electric Vehicle, which just so happens to be a unit of Beijing Automotive Group. Building these vehicles in China would make total sense, as opposed to manufacturing taking place somewhere in Europe and then exporting to China. Smart has also been losing money since 1998, but China could be its saving grace thanks to young, urban consumers who will appreciate these cars’ parking conveniences. Daimler is already importing Smart cars to China, but making production local would save money. Neither Daimler nor its Chinese partner, which is state-owned, have confirmed any aspects of the report. However, China has become a global leader in its determination to cap carbon emissions and improve air quality, particularly in cities. Given the decline of Smart car sales just about everywhere else in the world, is it possible that one day soon it’ll become a China-only brand? We wouldn’t be surprised to see that happen. Brilliant in its mission, but only useful for urban living and working.